Thandi Azul Mbombo who is popularly known as Blue, is a young, vibrant, talented and oh so gorgeous reality TV star! Her striking looks and out of this world personality make her stand out from the rest, She continues to build her momentum by building a successful brand for herself. Her work ethic was put to the test when she started working as a promoter for the Lux beauty soap back in Welkom, Free State, when she was only 15 years old. 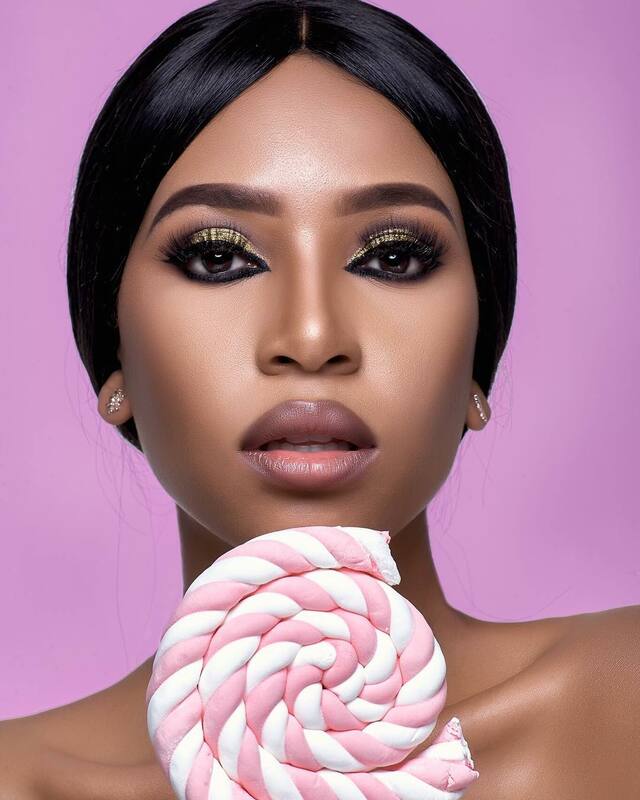 Her twin sister Brown Mbombo, is just as beautiful as her and you can keep up with them on their joint Instagram page mbombotwins which pretty much centers around the local beauts and their passion for fashion. Blue has been featured on a couple of reality shows like Big Brother Mzansi, model search show Diamond In The Ruff and who can ever forget Diski Diva’s which was aired on Mzansi Magic. Brown is her biggest supporter. Blue is half Portuguese and her real name, Azul, means Blue and her sister’s real name is Acastanho (Brown). She loves travelling with her bestie, Brown. She is the face of Clere Radiance. The star also scooped her first international endorsement deal with Dark and Lovely Africa. She is a fashionista of note! FASHION: Couples That Slay Together Stay Together!